Mr. Zavvos is the Chairman of SolidarityNow, and also the Founder and CEO of Zeus Capital Management, an international privately held investment management company, specializing in real estate investments in Europe, the Middle East and the United States. He was the Founder and CEO of Continental American Capital, an investment group which focused on real estate investment and financing in the USA. Mr. Zavvos is the Founder and President of the Harvard Business School Club of Greece, one of the leading fora in Southeastern Europe which addresses the economic, geopolitical and social issues and he is also a Member of the European Council on Foreign Relations. He was also a member of the International Crisis Group Advisory Council. Mr. Zavvos previously held positions in blue-chip companies, such as Citibank, Johnson & Johnson and Procter & Gamble. 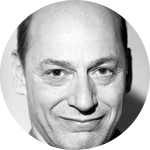 He holds an MBA from Harvard Business School and a MSc in Civil Engineering from Polytechnic University of Athens. 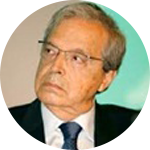 Nicos C. Alivizatos is professor of Law at the University of Athens; he practices law since 1978. He is pleading regularly before the Greek Council of State, the European Court of Human Rights and the European Court of Justice. After studying law in Athens (LL.B. 1972), professor Alivizatos obtained his PhD from the University of Paris 2 in 1977; the late doyen Georges Vedel was his directeur de thèse, which was published in Paris in 1979 (: Les institutions politiques de la Grèce à travers les crises, Paris, L.G.D.J., Bibliothèque constitutionnelle, tome 60). He has been teaching constitutional and public law since 1980. He was a visiting scholar at Stanford (1988-89), Princeton (1997) and Oxford Universities (2005). His books include The Constitutional Status of the Armed Forces, vols 1 &2, (in Greek, Athens, Ant. Sakkoulas, 1987 & 1992 respectively), Beyond Article 16 (in Greek, Athens, Metaichmio, 2007), The Constitution and its Enemies, 1800-2010 (in Greek, Athens, Polis, 2011) and What Kind of Democracy After the Crisis (in Greek, Athens, Polis, 2013). 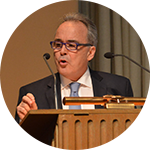 He has been a member of the Venice Commission since 2014. Secretary General of the Board of Directors of the Hellenic Federation of Enterprises (SEV) and Chairman of SEV Business Council for Sustainable Development. Mandated by the Greek Prime Minister in August 2012, negotiated and led the reset of the stalled motorways projects of Greece. Completed successfully the restructuring of all concessions by year end 2013. Was the CEO of S&B Industrial Minerals Group from 2001 until 2011 and COO from 1998 to 2001 and served on the Board of Directors for 15 years. Earlier in his career, Mr. Vidalis spent 20 years at Owens Corning, USA, where he led as President each of OC’s major businesses (Composites and then Insulation) from 1994 to 1998. Prior to that he has held several leadership positions including Vice President of the European Reinforcement business (1986 to 1993). Currently serves on the Board of Directors of ALPHA BANK, TITAN CEMENT S.A., Future Pipe Industries based in Dubai. He is also an Advisor to the Management of RAYCAP S.A. 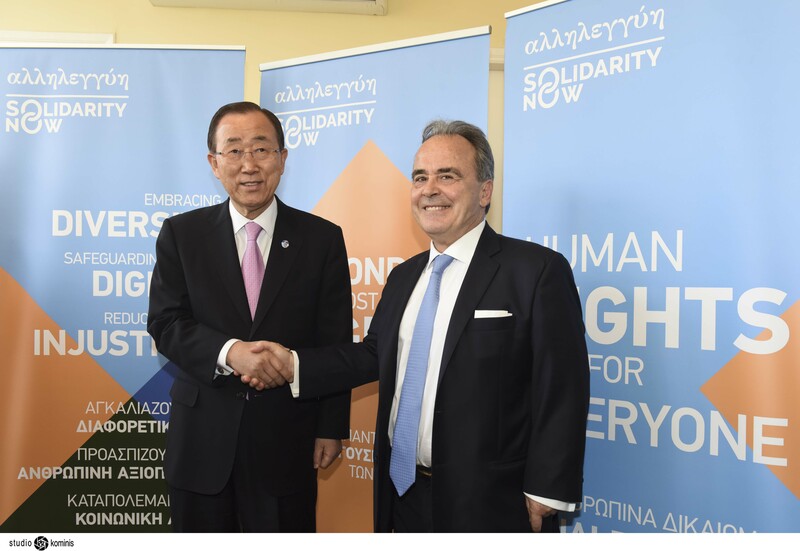 Serves on the Advisory Boards of “egg – enter*grow*go” and Solidarity Now in Greece. Served on the Board of the Greek Mining Enterprises Association (SME) from 2001 to 2009, where he was the Chairman for 4 years. Graduated from Harvard University with a BA in Government and earned an MBA from the Harvard Graduate School of Business Administration. Aristos Doxiadis is General Partner at Openfund, an early-stage technology fund based in Athens. He is a pioneer of private equity in Greece, with 20 years of experience in many industries, from banking software to table grapes. Openfund is a leader in the startup ecosystem, having invested in the most dynamic recent ventures coming out of Greece. Recently he has been researching and writing on the institutional and cultural determinants of the Greek economy. His book The Invisible Divide: Institutions and Behaviors in the Greek Economy (in Greek) has been widely read and discussed. 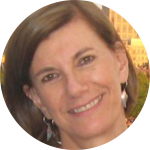 Jennifer Cavounidis, Senior Research Fellow – Center of Planning and Economic Research, Visiting Associate Professor, Athens University of Economics and Business. Jennifer Cavounidis is a Senior Research Fellow at the Centre for Planning and Economic Research (KEPE) in Athens and also teaches Sociology courses at the Athens University of Economic and Business. She studied at Stanford University (B.A. ), Boston University (M.A.) and the London School of Economics (Ph.D.). Before joining KEPE in 2008, she collaborated with other research institutes in Greece such as the National Centre for Social Research, the Employment Observatory, and the Hellenic Migration Policy Institute, where she was Director of Research. She has authored dozens of books, chapters in collective volumes, and articles in international journals such as International Migration Review, International Migration, and the British Journal of Sociology. Associate Professor of European Social and Employment Policies at the Department of International & European Economics, Athens University of Economics & Business. 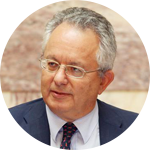 He has previously worked at the London School of Economics (Welfare State Programme, 1990-1993), at the University of Crete (1996-1999 & 2011-2004), and at the Greek Prime Minister’s Office (Strategic Planning Division, 1997-2001). His research interests include the social impact of the economic crisis, economic analysis of public policy, the political economy of welfare reform, and the development of tax-benefit models. 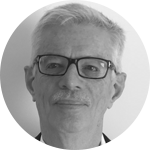 He is the coordinator of the Policy Analysis Research Unit at AUEB and a member of the Expert Group on Social Investment for Growth and Cohesion (at the European Commission, DG Employment, Social Affairs & Inclusion). Calypso Nomikos, President of A M. Nomikos Transworld Maritime Agencies S.A.
Mrs Nomikos is the Chairwoman of the Board of Directors of A.M. Nomikos Transworld Maritime Agencies S.A. (a family owned international ship owning and ship management company). Member of the Board of Directors of S&B Industrial Minerals S.A. for over 10 years until the company was taken private in June 2013, most recently in the capacity of Vice Chairwoman of the Board. Member of the Young Presidents’ Organization and the World Presidents’ Organization (1992 to date). Member of the Board of Directors for Transparency International, Greece (2006 to 2009). Board member in SPDI, Real Estate Property Company. Board members in several NGO’s. She has studied Economics and Business Administration and attended the President’s Program in Leadership (PPL) at Harvard Business School between 1996 and 2012. Emeritus Professor of International Law, University of Athens; President of Administrative Tribunal of the Council of Europe; former Vice President of the European Court of Human Rights (1998-2011); former Member of the European Commission of Human Rights (1987-2011); member of the Institut de Droit International. He has written extensively on the Law of Treaties, Law of the Sea, international Human Rights. 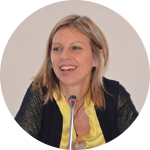 Anna Triandafyllidou is Professor at the Global Governance Programme (GGP) of the Robert Schuman Centre for Advanced Studies (RSCAS), European University Institute. Within the GGP she coordinates the Research Area on Cultural Pluralism. Before joining the Programme, she was part time professor at the RSCAS (2010-2012). During the period 2004-2012, she was Senior Fellow at the Hellenic Foundation for European and Foreign Policy (ELIAMEP) in Athens where she headed a successful migration research team. She has been Visiting Professor at the College of Europe in Bruges since 2002, and is the Editor-in-Chief of the Journal of Immigrant and Refugee Studies. 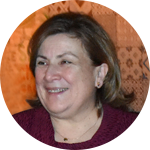 Professor Triandafyllidou received her PhD from the European University Institute in 1995 and held teaching and research positions at the University of Surrey (1994-95), the London School of Economics (1995-97), the CNR in Rome (1997-99), the EUI (1999-2004) and the Democritus University of Thrace. She was a Fulbright Scholar-in-Residence at New York University in 2001, and a Colston Fellow at the University of Bristol (2001-2002). 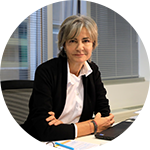 She serves as national expert in the OECD Network of International Migration Experts (formerly SOPEMI) and acts as an evaluator of research projects for the European Research Council, the European Commission, the European Science Foundation, the Norface ERA-NET network, and several national research agencies. Her main areas of research and teaching are the governance of cultural diversity, migration, and nationalism from a European and international perspective. 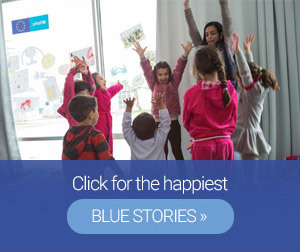 Over the past 20 years, she has raised approximately 12 million Euro in research funds from European, international and national sources, and co-ordinated 30 international research projects in these research fields. Antigone Lyberaki, is an economist, Professor of Economics at Panteion University of Social and Political Sciences (in Athens). She was educated at Athens University (Economics) and at the Institute of Development Studies at Sussex University. She has also taught at the City University of New York (Queen’s College) and the Ecole des Hautes Etudes en Sciences Sociales in Paris, France. From her PhD on, her research interests have focused on the interplay between social structures and economic performance: The Greek small enterprises are the point of confluence of the family, small-scale production and the search for competitiveness in an globalised environment. She has published extensively and has participated in civil society initiatives related to women’s rights, migration and development. She is currently a Board member of Action Aid Hellas and Action Aid Kenya, as well as Chairperson of the Scientific Board of the Greek National School of Public Administration. 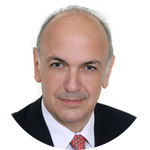 We would also like to recognize the contribution of a former Board Member, the late Dimitris Trihopoulos, Professor of Cancer Prevention and Epidemiology, School of Public Health at Harvard University and a member of the Academy of Athens.